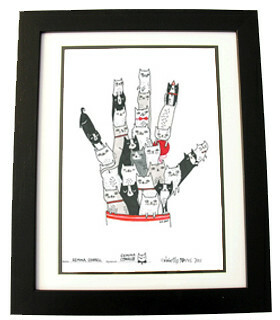 Cats Protection are a charity that do fantastic work with cats in the UK. They do such amazing work (including neutering our Oscar) and I have a huge amount of respect for everything they do. If I had to choose a favourite charity, it would be them! 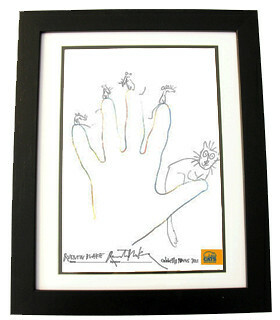 This year, they are auctioning Celebrity Paws! 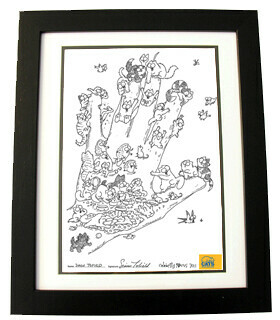 Lots of celebs have created a paw print (a drawing of their hand) and they are being sold on eBay. Here are some of my favourites, you can see the rest here. 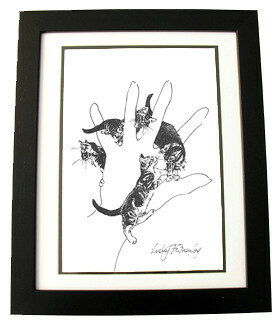 Go and get yourself a one-off exclusive piece of art and help Cats Protection raise lots of money.